We continue this week with just a few more Scriptures where the Lord gave a definition of what His disciples would be and do. “By this My Father is glorified, that you bear much fruit; so you will be My disciples” (John 15:8 NKJV). Not only do disciples bear fruit, but they bear “much fruit.” Jesus is Life, so if we are abiding in Him, life will be multiplying through us. “A disciple is not above his teacher, but everyone who is perfectly trained will be like his teacher” (Luke 6:40 NKJV). 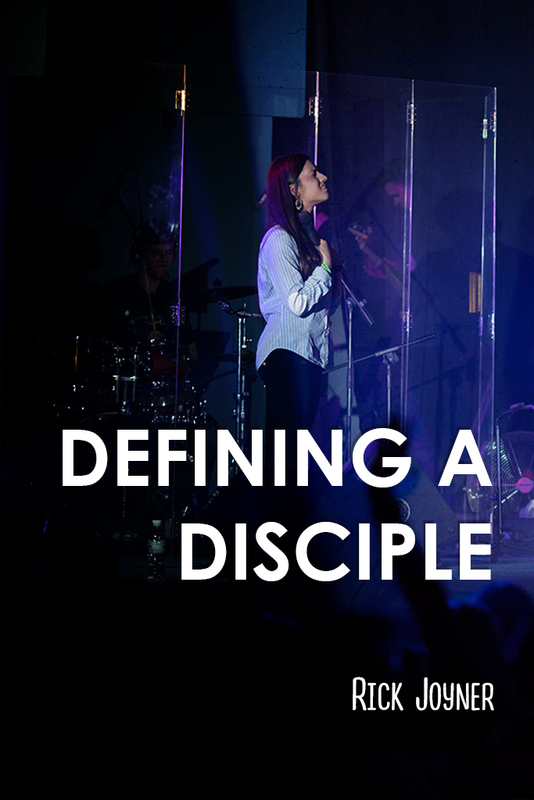 The main goal of a disciple is to become like their master, and our main purpose as disciples of Christ should be Christlikeness. We are all called to be like Him and do the works He did. Is this the main goal before us each day? For a disciple it is. What could possibly be more important for us to do than this? These verses reiterate that the disciple is to become like their teacher. It is also explained that the disciple, therefore, should expect the same persecution as the Lord. In reading the Gospels, it seems that Jesus was not able to give a single teaching or perform a single miracle without the religious conservatives of His time criticizing it. Some think that if these modern fault-finders could just see a miracle, they would believe. That is not the biblical example we have been given. The more powerful the miracles of Jesus were, the greater the opposition and accusations. The same happens today for true disciples who are walking in His footsteps. This opposition should not discourage us, but encourage us that we are doing the work of the Lord. The greater opposition is a sign of the greater work we are doing. When John Wesley once went three days without someone attacking him, he went off to pray and seek the Lord because he thought he must have backslidden somehow. God allows opposition to purify His servants, and to reveal those who may claim to be defending the honor of the Lord or His truth, but in fact are modern Pharisees who oppose Him. “If anyone comes to Me and does not hate (lit. “love less”) his father and mother, wife and children, brothers and sisters, yes, and his own life also, he cannot be My disciple. “And whoever does not bear his cross and come after Me cannot be My disciple” (Luke14:26-27 NKJV). It is a wrong translation that implies that we should hate our families. However, this is a clear statement that we cannot love them above the Lord. If necessary, we would accept banishment from our families rather than to stop following Christ. We must even be willing to give up our own lives rather than to compromise His truth. A disciple takes up their cross every day. That means we die daily to anything and everything that would distract or divert us from following the Lord. However, this is the path of true life. What can a dead man fear? A dead man does not fear rejection, failure, or ridicule. No one is freer than one who is dead to this world. If you knew you were going to die today, wouldn’t your last hours be devoted to the most important things in your life? Because taking up our cross means to die daily, this is what should bring focus to our lives so that we live more passionately than we would otherwise. “So likewise, whoever of you does not forsake all that he has cannot be My disciple” (Luke 14:33 NKJV). Does this verse mean we must give up all of our possessions to be a disciple? Yes. We are stewards, not owners. All that we have is not ours, but His. For the disciple, this must be real, not just a doctrine or declaration.